Beck Residence — Isaman design, Inc. 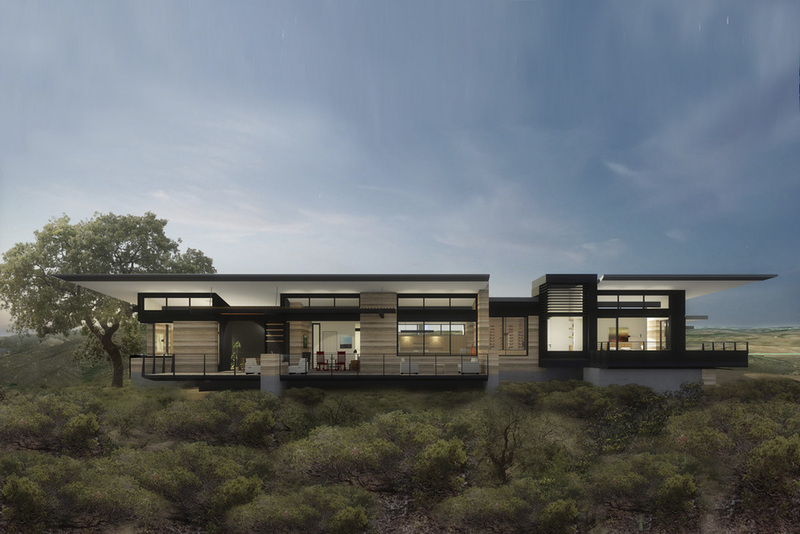 Located on a sprawling vineyard estate in Paso Robles, California, the Beck Residence is self sufficient contemporary home designed for a retired husband and wife. The beautiful site is full of dense manzanita thicket and mature oak trees, much of which will be left untouched. 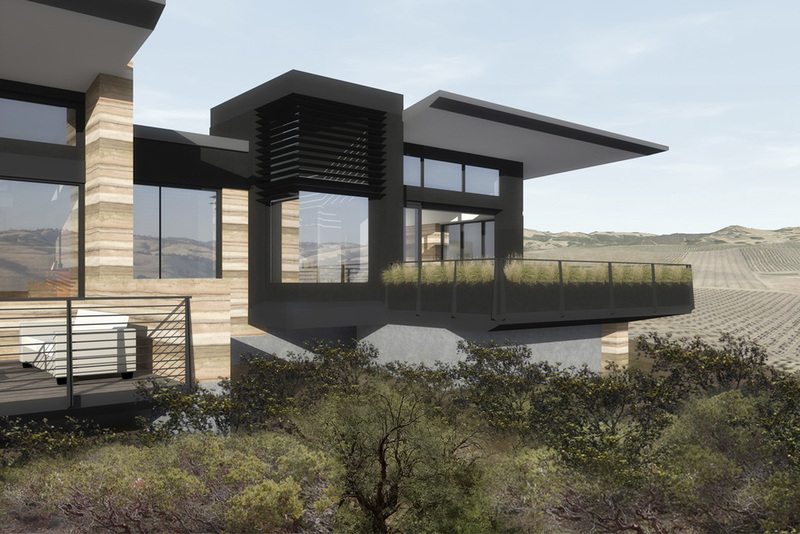 The home itself aims to emerge from this natural landscape to sit lightly on the crest of the highest point on the property. The design of this modestly sized home is focused on the use of rammed earth walls. This material provides energy efficient thermal mass as well as an elegant and natural finish. 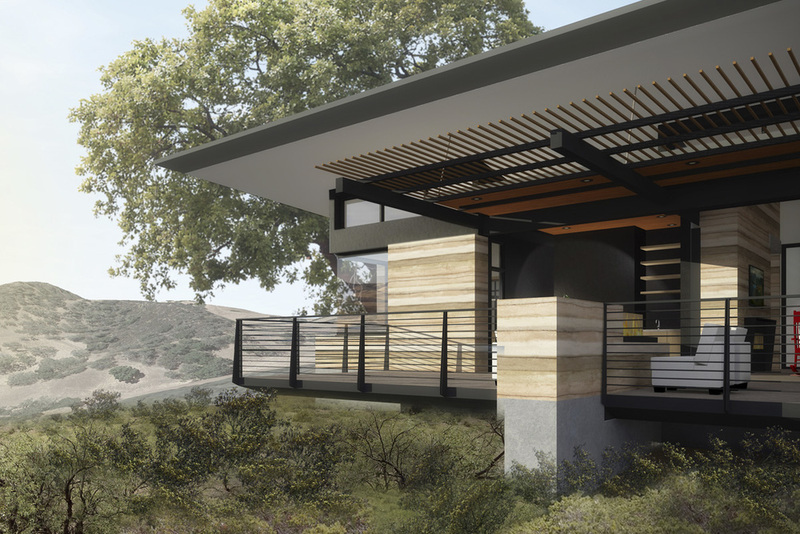 A large butterfly roof helps to shade the expansive outdoor decks and serves as system for rainwater catchment. Polished concrete floors seamlessly flow from indoors to outdoors and a mitered pocketing slider door blend the distinction between inside and out.